Approximately 6-8 months after your N-400 Application is submitted to USCIS, you will appear for an interview before a USCIS officer to complete the naturalization process. The interview includes a basic English reading/writing test and a United States civics exam. Following the interview, USCIS makes a decision on your application. If your N-400 Application is approved, you will participate in a naturalization ceremony, where you will take the Naturalization Oath of Allegiance and receive your Certificate of Naturalization. Caruso Law Group can help you determine if you are eligible for United States citizenship and work with you to submit your N-400 Application. Attorney Caruso is an experience citizenship lawyer that can help you prepare for your interview, so you feel ready to appear before a USCIS Officer. Attorney Caruso can also attend the N-400 interview with you, having an experienced citizenship lawyer will help you to feel confident on one of the most important days of your life. If you have a parent who is a United States citizen, you may have automatically obtained United States citizenship at the time of your birth or after your birth. 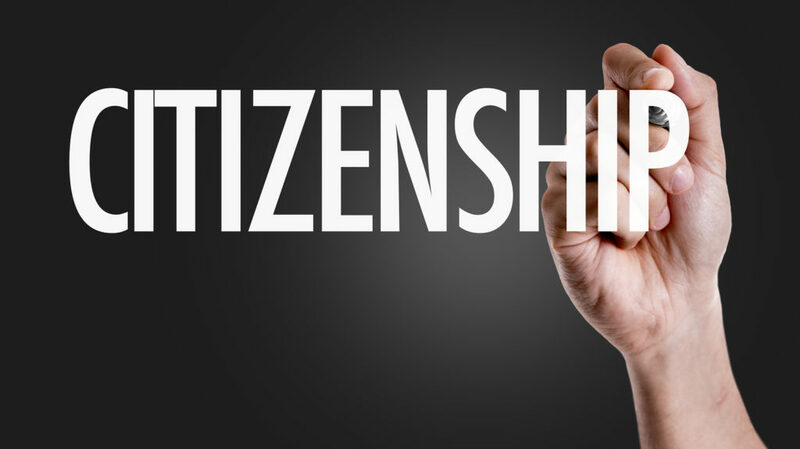 The acquisition of citizenship must occur before you turn 18 years old. There are very specific laws in place based on when you were born that determine your eligibility for citizenship through your parents. Proof of United States citizenship can be obtained by filing for a United States passport, a Certificate of Citizenship, or a Certificate of Consular Report of Birth Abroad. If you were born after November 14, 1986, you will have automatically acquired citizenship at the time of birth if you have a parent who was a United States citizen at the time of your birth, and that parent resided in the United States for a period of at least five years – two of which were after your parent reached 14 years of age. You were admitted to the United States as a lawful permanent resident. Caruso Law Group can help you determine if you have acquired or derived citizenship through a United States citizen parent and help you prepare the documentation necessary to prove your eligibility to USCIS. Call us today at 412.265.1822 or fill out the contact form to schedule a free consultation with an experienced citizenship lawyer!